If you would like more information about the modernist techniques, ingredients, and equipment used in the rum punch infusion recipe you can check out the following. 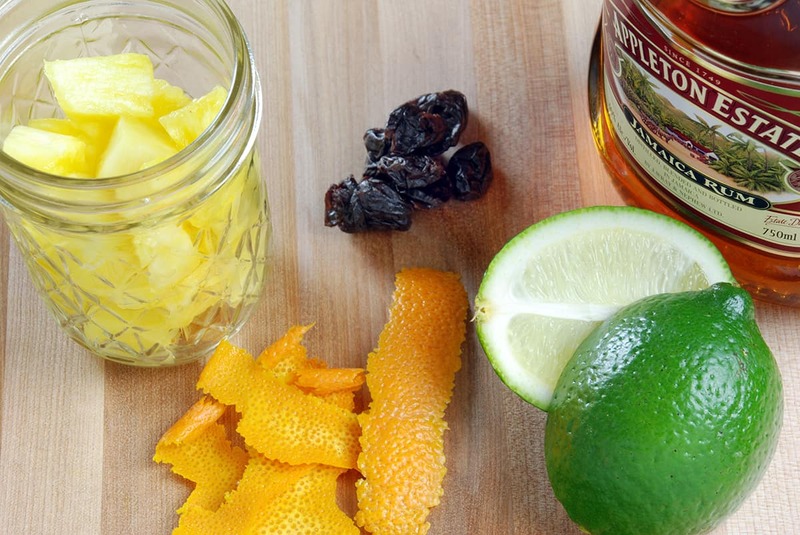 Lightly scrub the outside of the lime and orange then remove the zest with a vegetable peeler or zester. Make sure little to no pith came off as well, using a paring knife to remove any. Combine the lime and orange zest with the remaining ingredients in a sous vide bag or Mason jar then seal and place in the water bath. Heat the infusion for 1 to 3 hours. 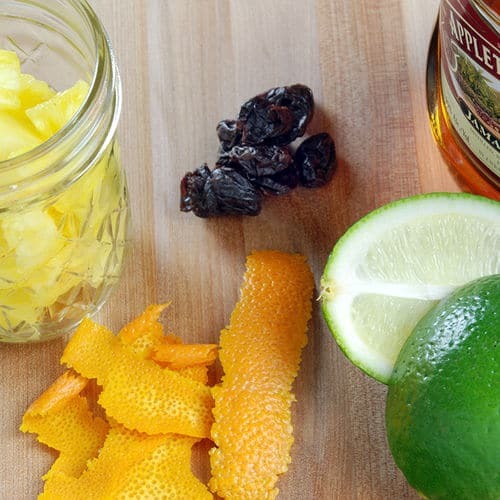 This infusion takes many of the common rum punch flavors and infuses them directly in the rum. I like to serve the resulting infusion with a splash of orange juice and pineapple juice.